QR codes in the library - an information literacy issue! Librarian Laura Pressley of Wake Forest University Library has created a nice LibGuide which gives more ideas on how QR codes can be used in other libraries: displays, audio tours, library tours, signage, in the library catalog, and to connect e-resources to the physical stacks. 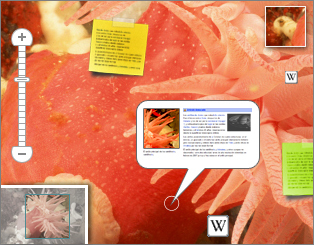 Be sure to read the Library Success Wiki for more QR Code examples. Listen to what Wake Forest University Library is doing with QR codes. QR Codes in Libraries from lauren pressley on Vimeo. At the New Trier Library our latest display for Women's History Month has been augmented with QR Codes. Using their phones, students can scan the QR codes and find out more about historically important women. Technology great : But libraries and books remain even more important today . April 10th -16th is National Library Week. Author John Grishom, honorary chair, shares the value of libraries in his life and a personal story about helping to rebuild libraries on the Gulf Cost after Katrina. Just pointing you toward a wealth of resources provided by Facing History and Ourselves: helping classrooms and communities worldwide link the past to moral choices today. This site is filled with lesson plans, video clips and podcasts, plus more resources on a variety of topics including the Holocaust and Little Rock Nine. Currently, the home page features a video entitled "Do Something, Do Nothing". Choose to do something: review and share these resources. Tsunami Visualizations links to science sites about the Japanese earthquake, as well as photos and videos, interactive maps, and news stories [from Carleton College]. The British Red Cross pulled together an informative site about how to address the events with students, including the social and emotional effects of hearing about tragedies. A collection of Tweets, posts, videos, and photos collected by one teacher using Storify. Learning to Give is a website that offers classroom lessons about disaster relief organized by grade level. AND more ideas on "Best Sites for Learning about the Japanese Earthquake & Tsunami" from Larry Ferlazzo - another blog to follow. If you have some to add, post a comment. Russell Tarr shared this tool on Twitter today. Check out the new & improved TeuxDeux - an online personal organizer. You may end up ditching your Google Calendar when you see this! Hoping someone develops an Android app for this. 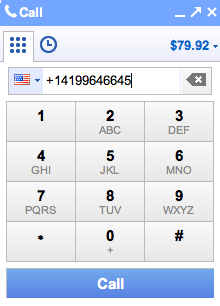 Starting today, you’ll see that phone numbers in your Gmail will appear as links! What you need: Google Voice and video plugin. Call phones right from your Gmail by clicking. You don't need to copy and paste your number or type it in to Google chat to call your friends. Read more about the free convenient calling from the Gmail blog. Makes you wonder if Google is collecting phone numbers from all your contacts. Today, Mashable previews some features of this soon to be released version that is six times faster and incorporates new sync and panorama features. The new sync features allow users to sync booksmarks, browsing history, passwords, form fill data and open tabs across mulitple computers and even a smartphone. Firefox Panorama: How To from Aza Raskin on Vimeo. I joined the Kindles in the Classroom Webinar tonight to hear the moderator Will @ eReadia discuss what is helpful when using Kindles and other ereaders in the classroom. It seems that the most difficult problem is to get your students focused on the same passage for discussion. What is helpful is for the teacher to embed the teaching notes for the text you are using by selecting and highlighting passages for easy reference. Some teachers use a doc camera to supplement teaching notes to make it easier for students to follow along. Will referred to the excellent Kindle resources shared by Buffy Hamilton on her web presences. 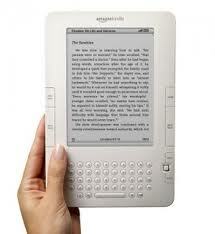 Kindle page numbers are supposed to help with this but they are not available as yet for all books. One participant suggested that it helps to have students set all settings the same, such as font size. Another problem is that many books teachers use are not yet available on Kindle. Teachers may have to consider using Open Source textbooks; this is another obstacle which involves changing to a new textbook. CourseSmart is a digital textbook library used by many major textbook publishers and this is definitely a work in progress. CourseSmart advertises the largest selection of etextbooks available online at low prices. 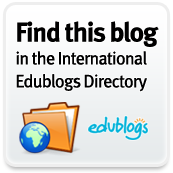 Visit the eBook Educators Group Ning to join forums and ask questions. Webinars are archived on the ning.higher education. SpeakingImage is an application for creating interactive images and share them with others. You can also create groups, add wikisand set different permissions to manage collaborative work among students. Science classes would love this application because it allows for complex annotation of complex systems. See the cell membrance example. Recently shared by the Resource Shelf from the Research Information Network: Worthy of printing! and bookmarking. Interested in using Kindles in the classroom? We are experimenting with that right now in a couple of classrooms at New Trier. Want to learn more? Join the the eBook Educators Group. The high school forum discusses and shares information about how they are using or planning on using ereaders in the high school classroom. Register for March 8 Webinar at 6 pm. central time, and 7:00 PM EST.